We sure hope our little Stormtrooper grows up to look like his award winning father RW SGC AC Speakeasy Cowboy’s Last Ride of Akerrs Bengals! He definitely has his dad’s great color and facial expression. 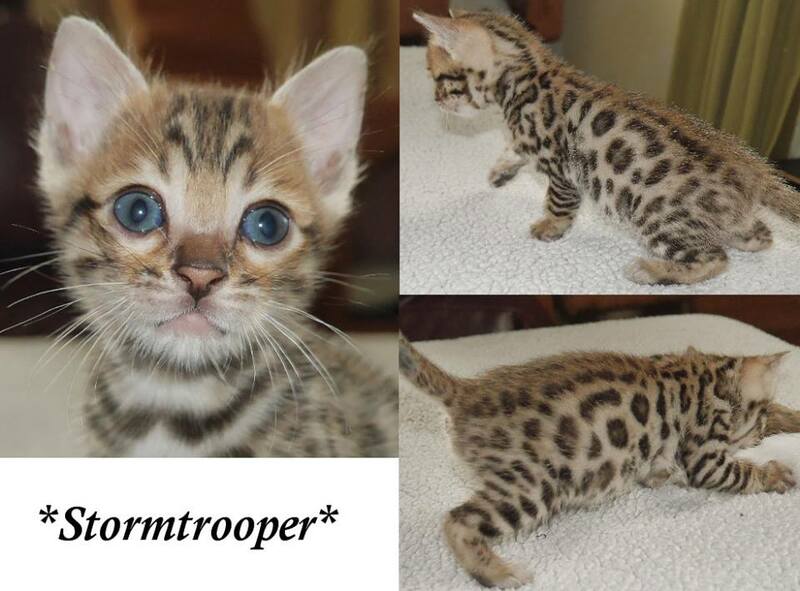 As part of our Star Wars name themed kitten litter, this little guy gets his name from the Stormtrooper! Maybe because they are white, with black specs, & run around like crazy bopping their head on everything. 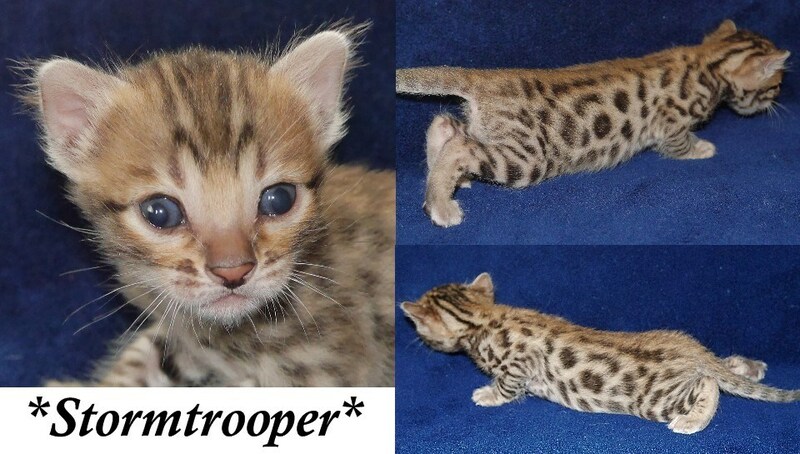 This entry was posted in Bengal Kitten Gallery and tagged Bengal kitten, Brown, Stormtrooper. Bookmark the permalink.